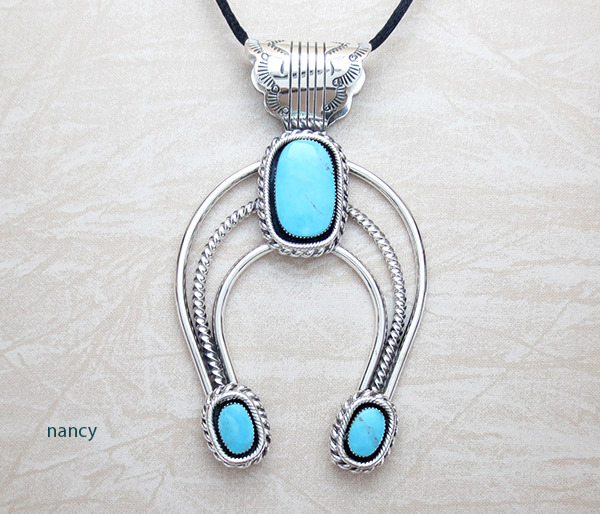 This really big, hefty Naja pendant was created by Navajo artist Derrick Gordon at Running Bear. 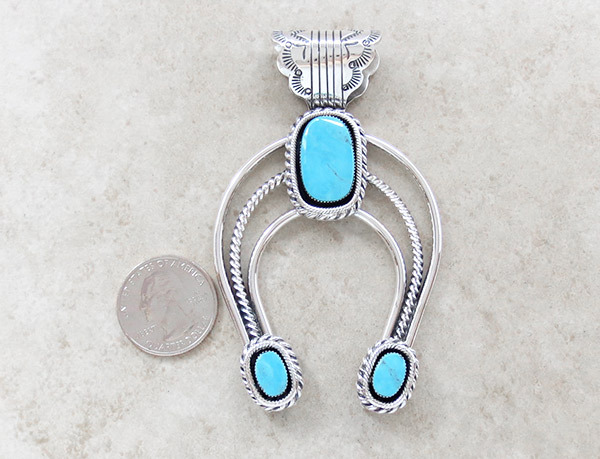 surrounded by fine and thick twisted silver wire. There's deep stamp work on the large rigid bail. It measures 3 1/2" tall by 2 1/8" at it's widest point. 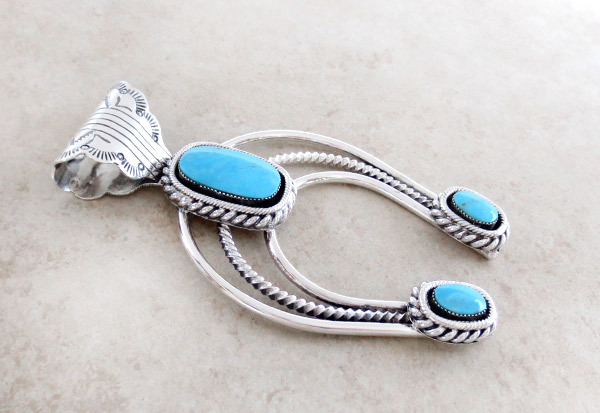 The "naja" and the squash blossom bead was introduced to the Navajo by the Spanish and later adopted by the Zuni. 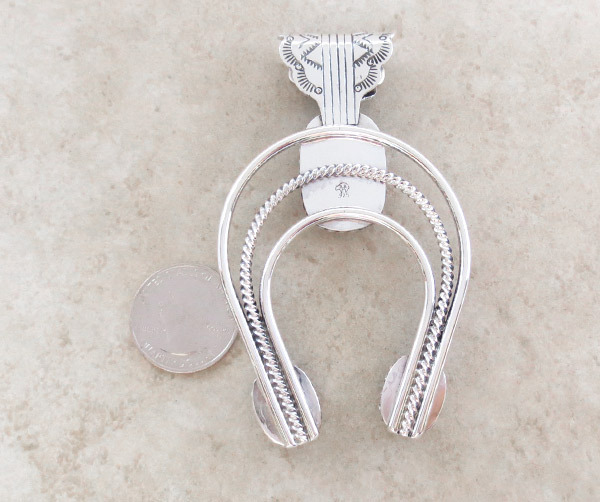 The crescent shaped Naja is similar to the pendants that hung from the headstalls of the Spanish silver bridles in the late 1500s and early 1600s.